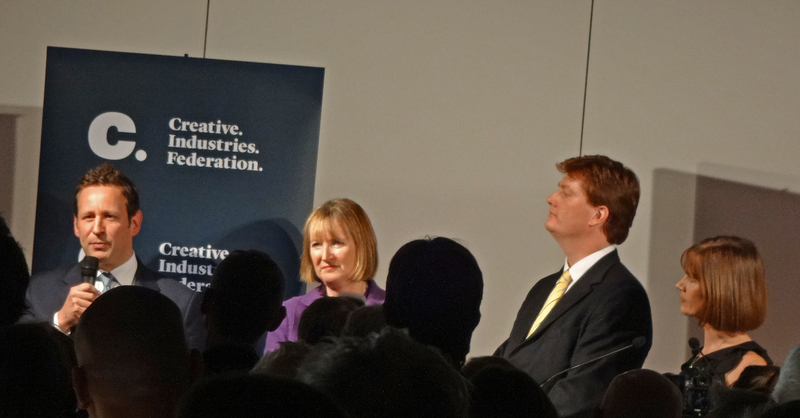 On Monday evening I was at the University of the Arts/Central St Martins in London to attend the launch of the Creative Industries Federation. The Federation was the idea of Sir John Sorrell who felt there was an urgent need for the UK’s creative community to speak with a strong, independent voice, bringing together the public arts, creative industries and cultural education. The Creative Industries Federation will be independent of government, representing all sectors, bridging public and private and spanning the whole UK. Monday’s launch event impressively demonstrated the level of connections the Federation, and its Director John Kampfner, have achieved already. Among the 200 people at the reception I spotted Tony Hall, Sir Peter Bazalgette, Sir John Tusa. Sandy Nairne, Sir Nicholas Serota, Alan Yentob, Professor Geoffrey Crossick, Alan Davey and Will Gompertz. I understand the assembled audience also included Elisabeth Murdoch, Ray Davies, Tamara Rojo and Jane Bonham-Carter. The initial presentation involved brief speeches from Josh Berger (UK Head of Warner Brothers), Sir Anish Kapoor, the film director Paul Greengrass, Martha Lane Fox, a young games developer from Portsmouth, Mitu Khandaker, and the head of a growing Manchester TV business, Cat Lewis. 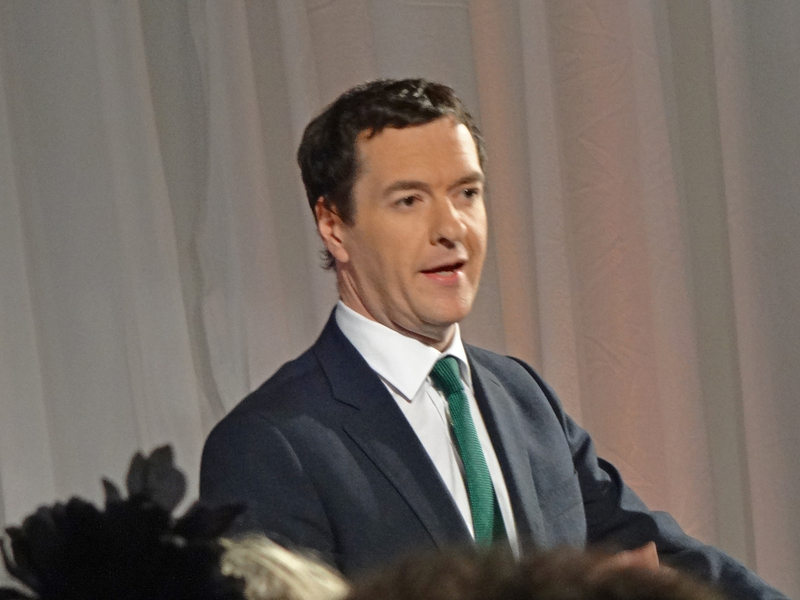 The keynote speech was then delivered by the Chancellor of the Exchequer. George Osborne was keen to emphasise that his interest in the creative industries was not simply because of its economic impact. He said “ultimately what you do is express who we are as a society and give voice to the people of this country … it’s a human endeavour worthy of support in its own right, regardless of its contribution to GDP”. The Chancellor finished by saying “the arts and creative industries needs a single voice and now it has one”. Deborah Bull then chaired a panel discussion with representatives of the three main political parties. For Labour, the Shadow Culture Secretary, Harriet Harman, talked about the importance of “universality”, saying “arts and culture is not just for some”. She also questioned how Ofsted can say a school is outstanding if it doesn’t have an outstanding cultural offer. For the Liberal Democrats, the Chief Secretary to the Treasury, Danny Alexander, said “we should listen to this fantastic new organisation” and felt there is a need for much more focus on skills. Finally the Conservative Culture Minister, Ed Vaizey, said the Creative Industries Federation “is a win win for everyone here”. The Creative Industries Federation could become a significant new voice in lobbying Government. By involving the big commercial companies of the creative industries, its messages about the importance of arts and culture might gain much more prominence – Monday’s impressive event being a demonstration of this. But there must also be a danger of those powerful commercial voices drowning out smaller, less-resourced arts organisations. And while the Federation’s promise to “insist that anyone, no matter who they are or where they come from, has an equal opportunity to fulfil their creative potential” is very welcome, another of its promises “we will bring together the public and private halves of the creative sector” suggests that the third, voluntary, part of the cultural spectrum is not yet fully part of its thinking. In my initial discussions with John Kampfner in October, he was keen to include the voluntary arts in the Federation’s work but I there is clearly still some thinking to be done in this area. On Thursday afternoon I was at Age Scotland in Edinburgh for a meeting of the Trustees of the Luminate Festival – Scotland’s creative ageing festival. We reflected on the 2014 festival which took place during October. Festival Director Anne Gallacher felt that we had seen an increase in the quality and ambition of events this year, as well as a better geographical spread across Scotland. Our Arts in Care Seminar, held at Perth Concert Hall on 14 October in partnership with Scottish Care, was particularly successful, attracting almost equal numbers from the arts and the care sector. You can watch the three keynote speakers from this event at: www.luminatescotland.org/events/arts-care-seminar We congratulated Anne on securing core funding for Luminate from Creative Scotland for the next three years, and started to discuss plans for the 2015 festival. On Thursday I was in Edinburgh to meet Linda Gillespie at the Development Trusts Association Scotland. Linda told me about the Community Ownership Support Service, which is funded by the Scottish Government to support both communities and public bodies in the sustainable transfer of assets into community ownership. It is an adviser-led service providing support and advice through the various stages of asset transfer. Over the past three years the service has supported communities interesting in taking ownership of assets ranging from former town halls, schools, piers, harbours and marinas to theatres. Where communities are interested in taking on large civic space, arts often forms a key element of their business plan. Linda is therefore looking at developing a guide on organising performances – from the asset owner’s perspective. We talked about how Voluntary Arts might be able to help her create this guide – and how it could signpost people to the Voluntary Arts information services. We also talked about Our Cultural Commons and the effect of community asset transfer on local cultural infrastructure. On Tuesday evening I was at the Southbank Centre in London for the Arts Council England ‘State of the Arts’ debate. This event was used to launch ACE’s new publication: ‘Create: A journal of perspectives on the value of art and culture’ – see: http://www.artscouncil.org.uk/what-we-do/value-arts-and-culture/state-arts/create/. The second panel discussion was on ‘Education: how can every child benefit from arts and culture?’. The panel comprised the Shadow Schools Minister Kevin Brennan, Dave Moutrey (Director and Chief Executive of Home, the new arts centre in Manchester), Professor John Coyne (Vice-Chancellor of the University of Derby) and the scientist and novelist, Professor Sunetra Gupta. On the education system, Sunetra Gupta said “the main return we want from our investment is creativity” and Dave Moutrey spoke about the importance of “learning the joy of reading, not just learning reading”. Kevin Brennan felt that “education should be about producing a well rounded individual” and John Coyne worried that he was from the generation that was “educated” whereas his daughters were “assessed”. I liked Suneptra Gupta’s plea for a “system in which you can study things you’re not good at” and Dave Moutrey agreed that “education shouldn’t just be about passing exams.” This discussion became dominated by the recent warning from the Education Secretary, Nicky Morgan, that studying arts subjects could hold young people back in the job market. John Coyne very politely suggested that the Minister “was well-meaning misunderstood and badly briefed”. Kevin Brennan simply pointed out that, in educational terms, “politicians are a mixed ability group”.